Quick Take: Royal Enfield's first twin-cylinder bikes since 1970 are a home run, fun and affordable middleweights that should be genuinely appealing to new riders. In an industry where a lot of motorcycle manufacturers take their brands a little too seriously, Royal Enfield is a refreshing exception. It’s certainly cares about its heritage as much as the next century-old outfit, but it’s doing a nice job using that past to move into the future, starting with a crack at the mysterious middleweight moto segment. I think the motorcycle world is in a really good place right now, with a lot of great bikes on the market in just about every segment. But middleweights have been mostly missing from the picture - and what am I talking about when I say "middleweight," anyway? If you ask 10 different motorcycle manufacturers to define "middleweight," you'll likely get 10 different answers. Some think the classification runs all the way up to a 1200cc cruiser; Royal Enfield pegs it at anything with an engine displacement between 250cc and 750cc. Sounds about right, so let's run with that. Looking around, there are only a few genuine middleweight bikes on the market based on this definition, like the Honda Rebel, the universally-loved Suzuki SV650 naked bike, and sportbikes in that engine range. But with the retro-modern craze that’s been sweeping the industry, why hasn’t anyone made twin-cylinder, middleweight standard bikes combining old-school styling and modern engineering? 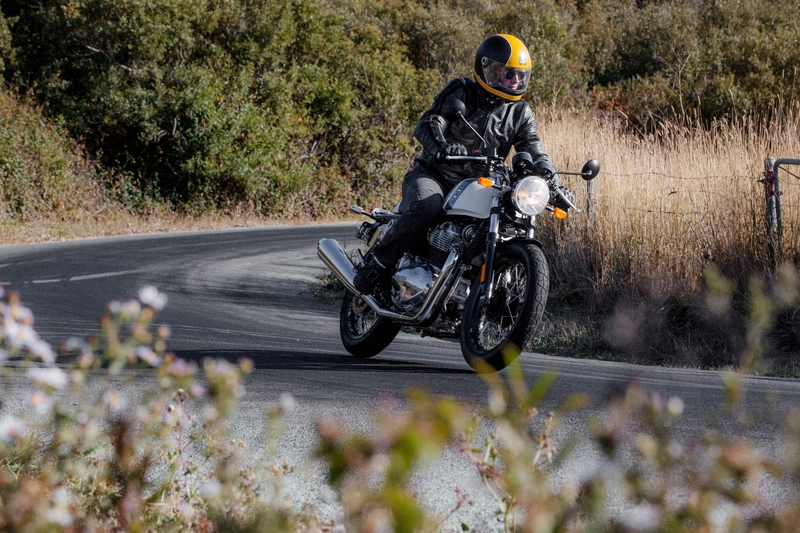 Enter the Royal Enfield Interceptor 650 and the RE Continental GT 650 into a market with no direct competitors. The company recently invited The Drive out to sunny California to test the new twins on some truly incredible roads, and it was a refreshing experience that reminded me why I fell in love with motorcycling. But before we get too mushy, let's cover the brass tacks. Royal Enfield did a lot more than just stuff a new engine into the chassis of a Classic 500 to create the Interceptor and Continental GT. These twins have a unique design with an all-new chassis and engine built just for these bikes. Yes, there’s already a single-cylinder Continental GT 535, but I was told that that bike only shares seven components with its new twin-cylinder counterpart. The engine is a 648cc parallel-twin engine with a 270-degree crank angle that gives it its characteristically delightful burbling sound. It’s air cooled in an effort to keep it simple and authentic to the brand’s identity. But don’t be fooled—that simplicity masks modern perks like fuel injection and four valves per cylinder. The result is 47 horsepower and 38 lb-ft of torque. This was the first time I’ve really questioned whether the stated power and torque ratings were really accurate on a review. From behind the handlebars of these bikes, it feels like a hell of a lot more than 47 horsepower. Then again, that could be related to the fairly low curb weights of 435 pounds for the GT and 444 lbs for the Interceptor (the latter has a center stand that adds a few pounds). So if these two bikes have the exact same engine and chassis, why are they split into two different models? It comes down to aesthetics and ergonomics. The fuel tank, seat, handlebars, footpeg position, and aforementioned center stand are the only differences between these two bikes. They even have the same front fork, rear coil-over shocks, and ABS disc brakes. The pleasantly analog gauge cluster is also the same on the two bikes. You get a speedometer and tachometer of equal size with a little screen in the left pod that gives you a digital odometer and fuel gauge. A gear indicator would have been nice, but hey, keep it simple. Royal Enfield says that these bikes have “one heart and two souls,” which is a bit flowery but accurate. Although they’re mechanically identical, there’s enough that set them apart to make them distinct from each other. The Interceptor has more of an upright standard bike stance while the Continental GT has the forward-leaning character of a genuine cafe racer with more rear-set pegs and clip-on handlebars. Riding the two bikes back-to-back is as similar as you would expect it to be, but also different enough to be...different. It’s weird how your riding position affects your psychology. I knew in my head that these bikes were mechanically the same, but I found myself pushing harder into corners and twisting the throttle with more enthusiasm on the athletic Continental GT than I was on the more relaxed, laid-back Interceptor. Both got the ergonomics just right. The GT is aggressive enough to feel genuinely capable, but they didn’t go too crazy with it and it’s actually quite comfortable for long-distance riding. The Interceptor isn’t a cruiser either, per se, but it is the better-suited twin for straight-line miles. That said, its riding position is still a little bit sporty with just enough of a forward lean to make things feel spirited. But that actually turns into something of a downside for the Interceptor. On the GT, at no point was I longing to be on a different bike. The ride was so engaging that I wanted to keep winding through the twisties and never get off. But since the Interceptor is a more upright, I couldn’t help but compare it to something like a Triumph Bonneville. Then I started to think about extra luxuries like heated grips, and how the Interceptor is pretty basic, and it suddenly made me wish for a little more. The twins are fun to ride in a slow-car-fast kind of way. You can ride them at their limits and have some great fun without getting in too much trouble. They’ll gladly hit extralegal speeds (er, um, I assume) with a shocking smoothness, which in my opinion makes them strong enough performers for 99 percent of the riding that the vast majority of motorcyclists do. Royal Enfield got the pricing very right on these bikes. There are way too many motorcycles out there that are supposed to be entry-level but have five-digit price tags. That doesn’t mean those bikes are all bad values, but they're even less of a deal when stacked up against what Royal Enfield as done here. The Interceptor 650 starts at $5,799 and the Continental GT 650 starts at $5,999. Not only are you getting tremendously fun motorcycles at those prices, but you’re getting a three-year warranty, roadside assistance, and standard ABS on every model. The prices can go up with different colorways with the chrome-tank models (which look stunning in person) being the most expensive, but they're all still less than $7,000 before adding options like different seats or exhaust. It’s hard to stress enough what an incredible value these bikes are. They’re like really mint old-school Craigslist bikes, except you can be the first owner and they have modern engineering like ABS—and you get a good warranty. RE probably wouldn’t like me comparing their new bikes to used Craigslist finds, but I sincerely mean that as a compliment. You rarely see this much character at this price. 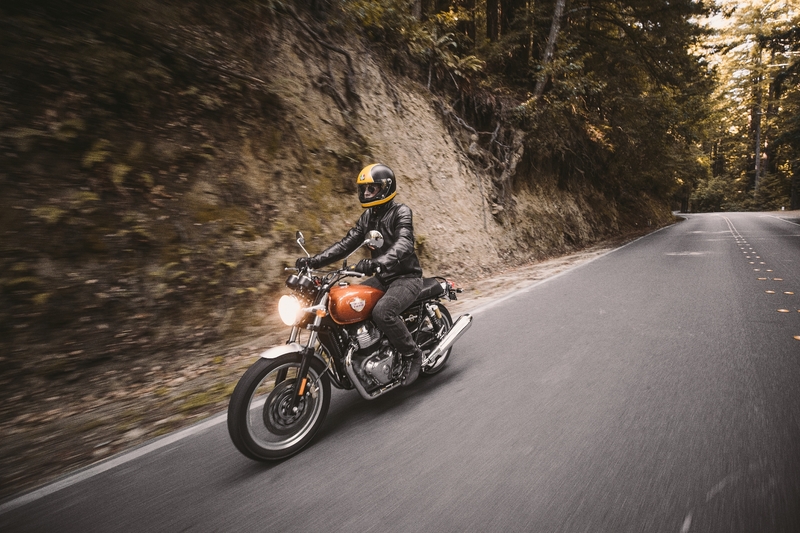 Royal Enfield talks a lot about its bikes offering riders a “pure motorcycling” experience, which sounds like marketing nonsense until you actually get on one. The engine is gushing with character and the aesthetics are charmingly retro. These are motorcycles that make you want to be a better rider. They’re always encouraging you to twist the throttle a little harder, lean into the corner a little deeper, and enjoy the visceral ride without ever being intimidating. And that’s the point of these bikes. They’re entirely approachable for every kind of rider. 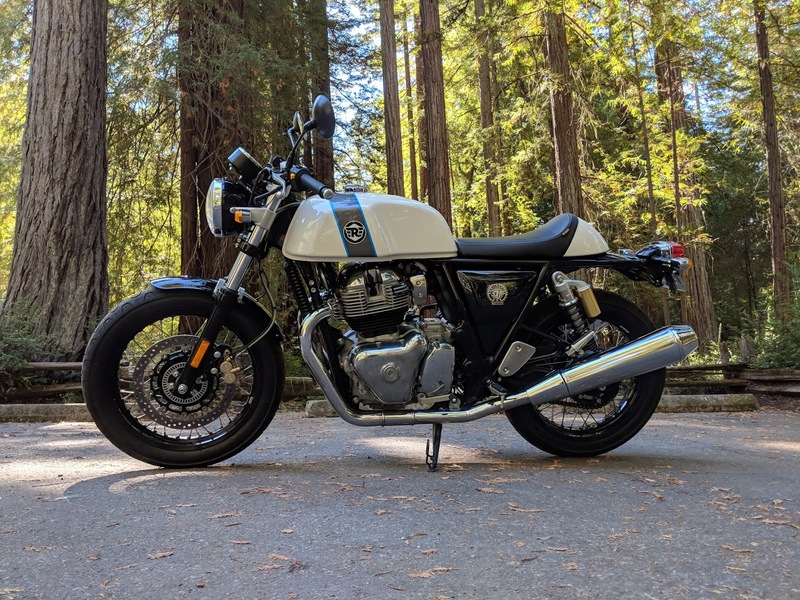 If you’ve always been interested in motorcycles but don’t know enough about them to find a good starter bike, you should give the Interceptor or the Continental GT a serious look. If you’re a seasoned rider looking to add something fun, affordable, and quaint to your collection, either of these would make a worthy contender. In a weird way, these are actually some of the most practical motorcycles you can buy today. Most of the world treats motorcycles as an affordable alternative to cars rather than a supplement to a full garage. 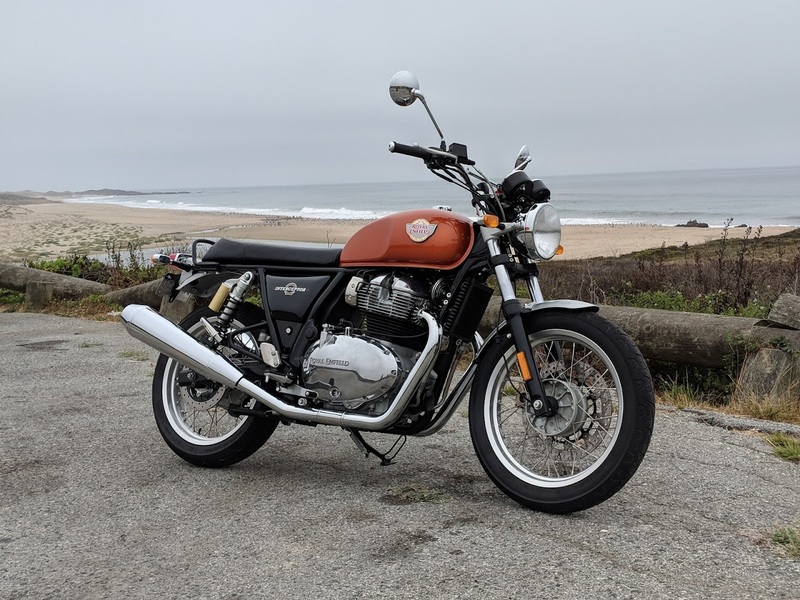 We Americans often make the mistake of never thinking of the words "motorcycle" and "practical" in the same sentence, but these honest and inexpensive Royal Enfields could start to change that perception.